Our quaint and cosy cottages were built at the turn of the century and were some of the first some of the first in the region. Enjoy that yesteryear feeling in our self-contained, modernised cottages. 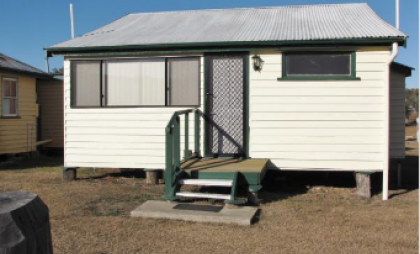 Wyona Cottage houses two bedrooms and sleeps up to seven people. The master bedroom is fitted with a queen bed and a single, and the second room consists of two bunk beds. The cottage also includes a kitchenette and a small bathroom.